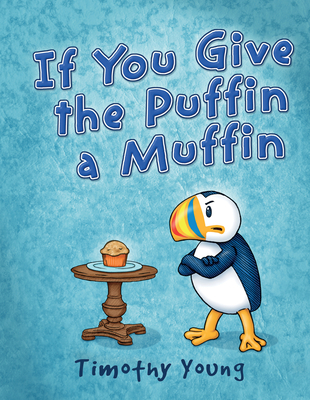 Everyone's favorite puffin is back, and guess what--he's still ANGRY When Puffin is offered a muffin, he realizes that he's the subject of another picture book and the target of a rhyming scheme gone wrong. His emotions take over and chaos ensues as he tries to escape the story line. Luckily, Puffin knows just where to turn for help. See what happens when characters from other picture books come to Puffin's rescue. Timothy Young fans will have fun spotting characters and scenes from his previously published books, as well as references to other children's classics. Will Puffin get lost in the fantasy worlds, or will he find his way out?